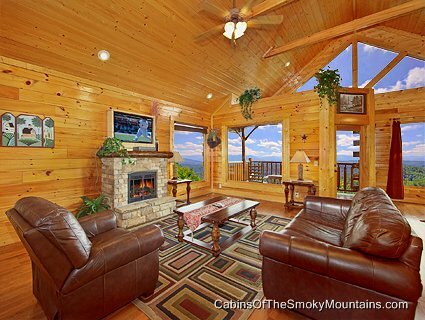 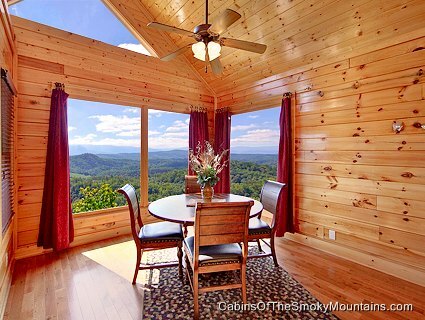 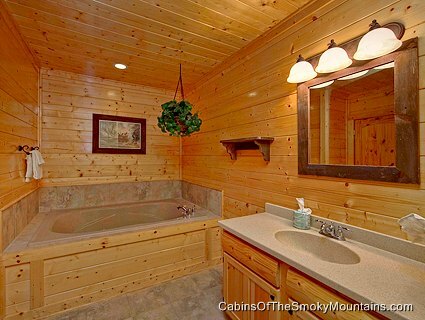 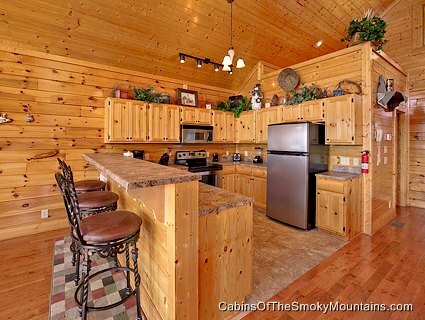 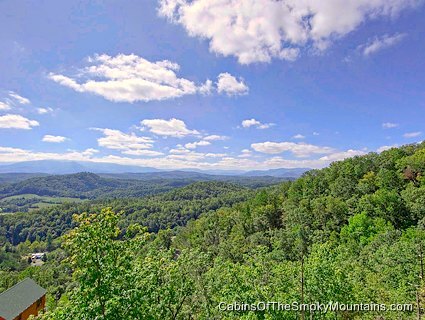 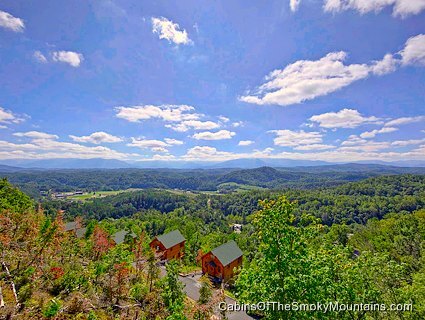 If a fabulous mountain view then Mountaintop Delight is the perfect cabin for you. 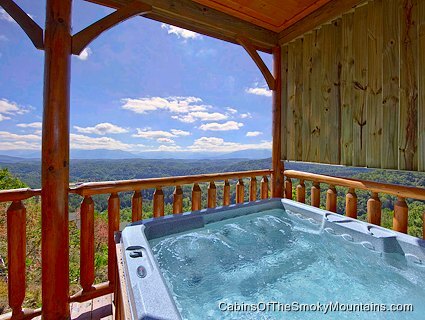 Located in the Legacy Mountain Resort you will have some of the best views from your cabin that you could possibly imagine. 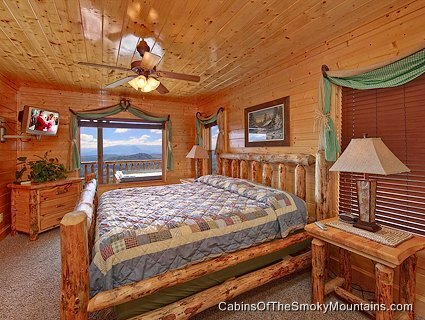 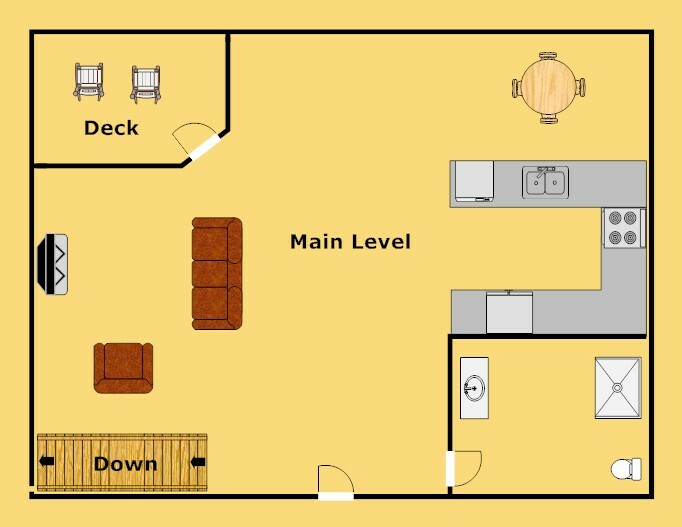 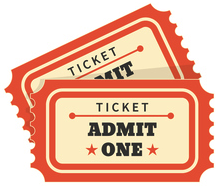 Cuddle up with that special someone while you watch a movie on the Netflix Instant streaming from inside in the cabin. 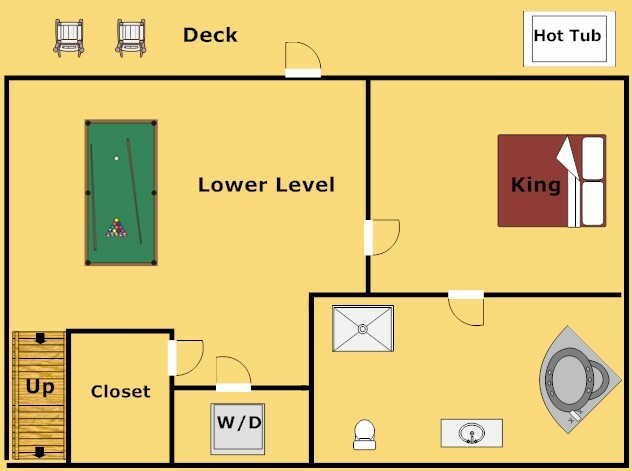 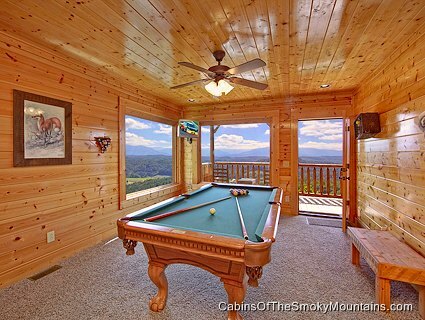 Play a friendly game of pool and just kick back and have a good time.Relax in the hot tub on the deck while you gaze at the mountains. 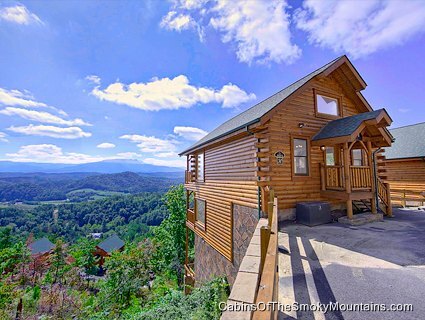 Pigeon Forge is just a short drive from your cabin so you can still enjoy all the attractions like Dollywood and Dixie Stampede. 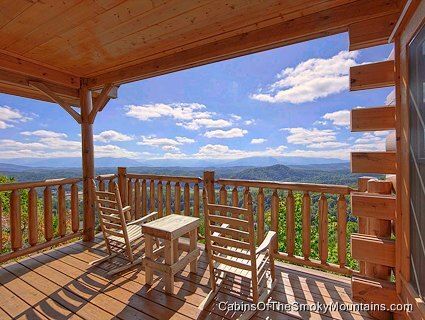 Stay in this beautiful and enjoy Mountaintop Delight.